In the plot 765, on a boulder 30m past La Piste aux Étoiles towards la Cuisinière. Sitstart with a jug, traverse on the left on slopers, take a good horizontal crimp right hand and exit by a mantle above. 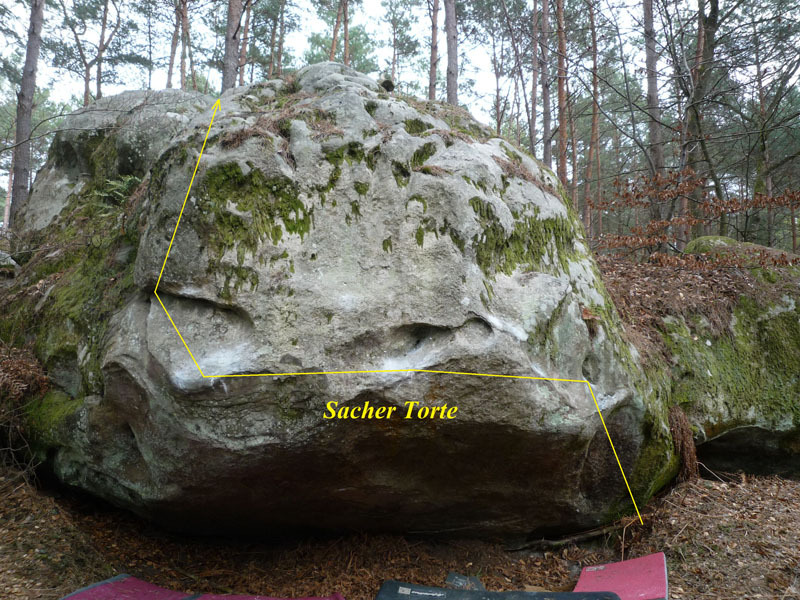 Access : from the parking lot, follow La Route de l'Isatis for 300m up to a sparse group of boulders 50m on the left.